We are not yet completely sure about who won this election, but we feel more comfortable. Nowadays, no one even asks me how am I doing with life or my job. The first question they ask is about the two candidates. by AWWP | July 7, 2014 | 2014 Afghan Elections Project, Latest Essays, Sitara B. People are scared about what will happen when the results are announced in July. Mr. President, I want you to understand Afghan women and our pains. Please listen. Both of them have enormous hopes and wishes for the people of Afghanistan; they are trying their best to win by making promises in the name of God. The future of Afghanistan will be very different, depending on which man wins. Will Disillusioned Afghans Vote a Second Time? In the first round, people were scared, but wanted to vote. This time is different. 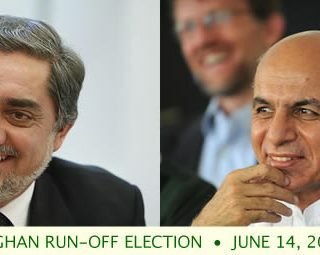 Voters in Afghanistan return to the polls on Saturday, June 14, 2014 to cast ballots in the runoff election between two men who seek to become president for the next five years.